Soy products contain estrogen-like compounds that your body processes much like its own estrogen. Intake of soy has varying effects on the women who consume it. Some find it helps their menstrual, infertility and menopausal conditions, while others find the opposite to be true. According to the American Cancer Society, soy's effects on the body need more rigorous study and until those studies provide definitive answers, it's best to be cautious about your soy intake. This is especially true of people with hormonally-sensitive menstrual cycle disorders, like polycystic ovarian syndrome (PCOS) or estrogen dominance. Increased estrogen, like that found in soy products, might effect your menstrual cycle in one or more of the following ways. Women who ingest high levels of soy might find changes in their hormone cycles, as soy can suppress hormones associated with ovulation. Women who consumed 60 g of soy protein experienced decreases in follicle-stimulating hormone (FSH) and luteinizing hormone (LH) in a study conducted by the American Journal of Clinical Nutrition. These changes affected ovulation by suppressing egg production and maturation. 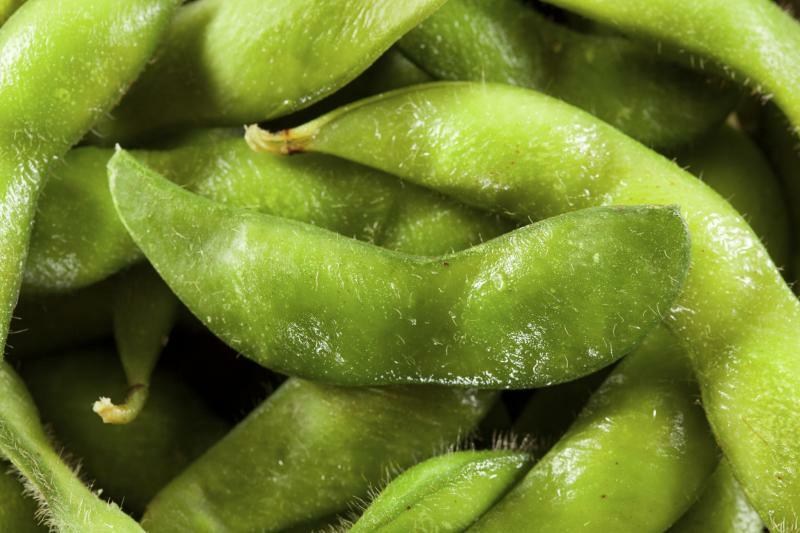 These changes could equal decreased fertility for women who consume large amounts of soy. Still, the amount of soy in question is not a commonly consumed amount. It's equivalent to drinking 36 oz. of soy milk per day for a month, according to Baby Hopes. Further study needs to be conducted to determine the effects of average soy consumption on LH and FSH levels. Decreased levels of LH and FSH translate to a longer menstrual cycle according to the American Journal of Clinical Nutrition. These changes cause an increase in the length of the follicular phase or the beginning half of your menstrual cycle. Longer cycle lengths mean fewer cycles per year. This added to the suppressed ovulation function may mean fewer chances to try to conceive a baby in a given year. Dysmenorrhea is a medical condition that's marked by painful menstrual periods. It's caused by chemicals in the body called prostaglandins, which trigger your uterus to contract (cramp). In some women, this cramping and pain is severe enough to interfere with daily life. Some women who experience dysmenorrhea find relief when they eat less red meat and more soy products, according to the University of Maryland Medical Center.